WASHINGTON – Few voices answered a national roll call for those who favor a ban on weed killer atrazine, but those few who did bear colorful names. Forestland Dwellers supported a ban in a letter to the U.S. Environmental Protection Agency on Aug. 26, and Mudjoy Farms also signed the letter. So did Animal Legal Defense Fund, Chicago Honey Co-op, Eco-Eating, Kids & Global Warming and Save the Frogs! EPA provided 60 days for public comments on atrazine this summer, but the agency apparently didn’t generate much interest. The letter endorsing a ban carried names of 250 groups, but none with national stature except Center for Biological Diversity and Natural Resources Defense Council. Several chapters of Audubon Club signed, but the national group did not. The Tennessee chapter of Sierra Club signed, but the national group did not. The Center for Biological Diversity separately submitted comments of about 38,000 individuals favoring a ban, or about one of every 9,000 Americans. 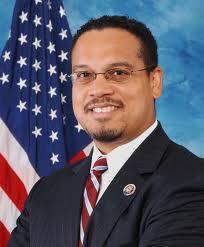 In May, U.S. Rep. Keith Ellison (D-Minn.) introduced a bill to ban atrazine. He had introduced it three times previously, to no avail. Animals Are Sentient Beings Inc.